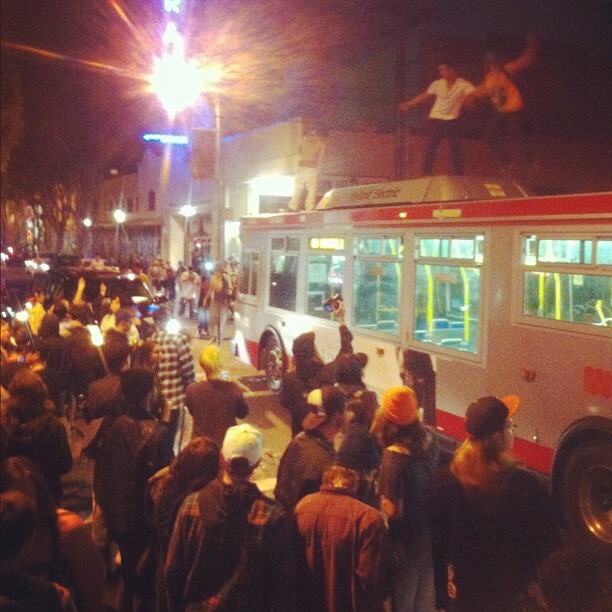 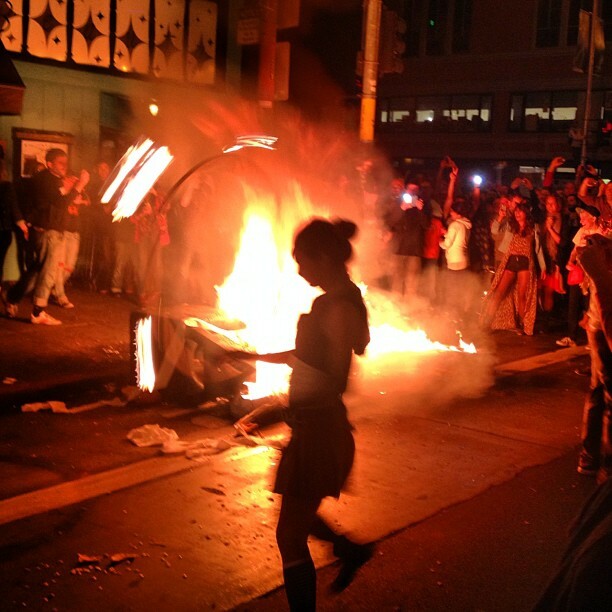 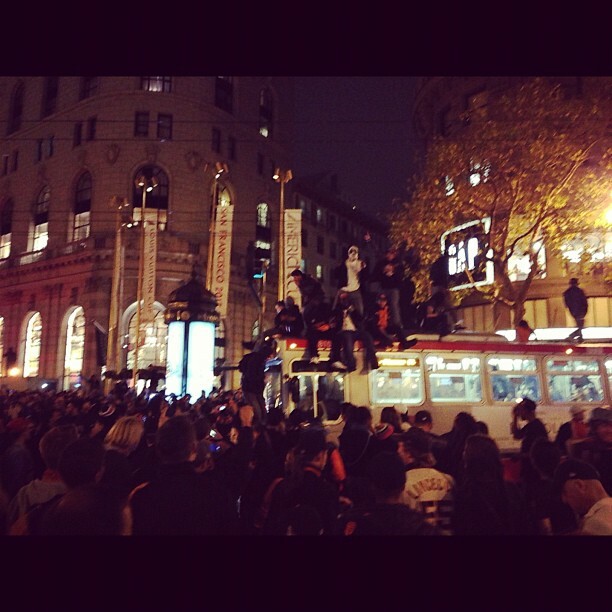 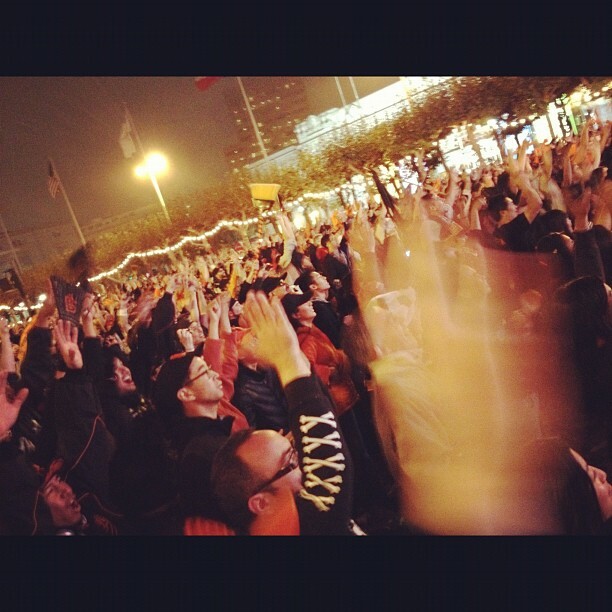 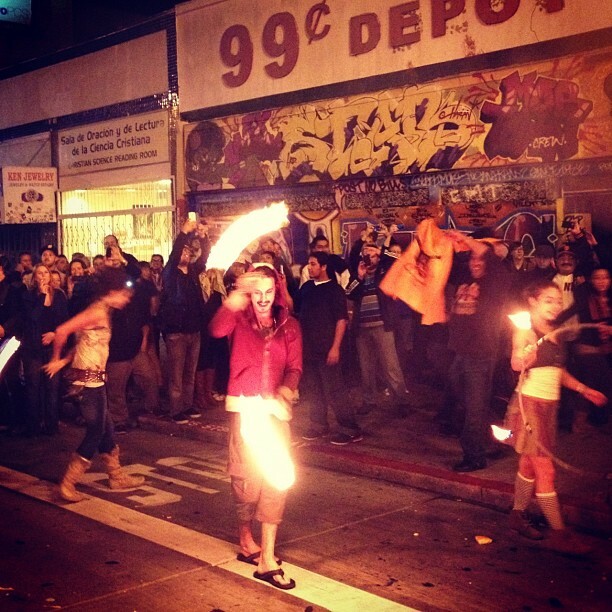 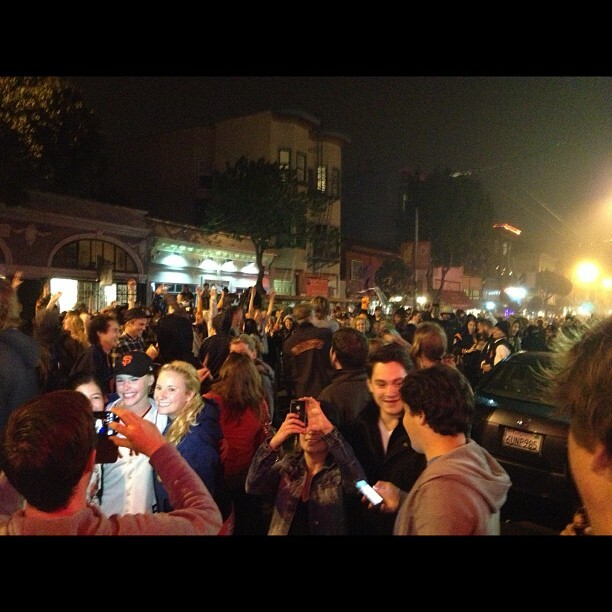 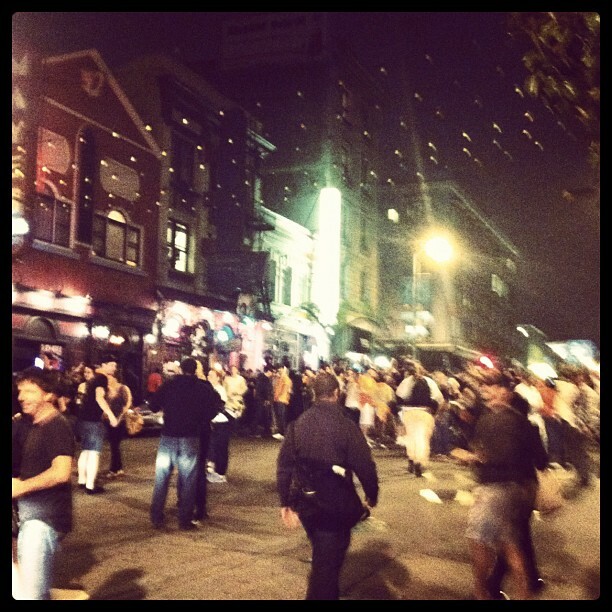 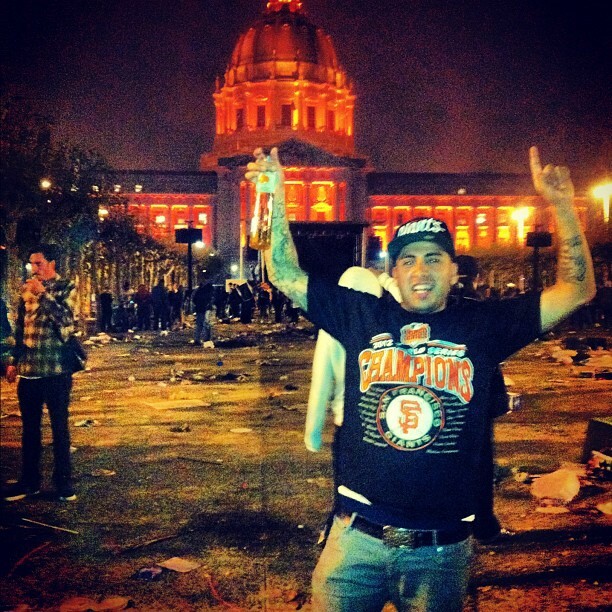 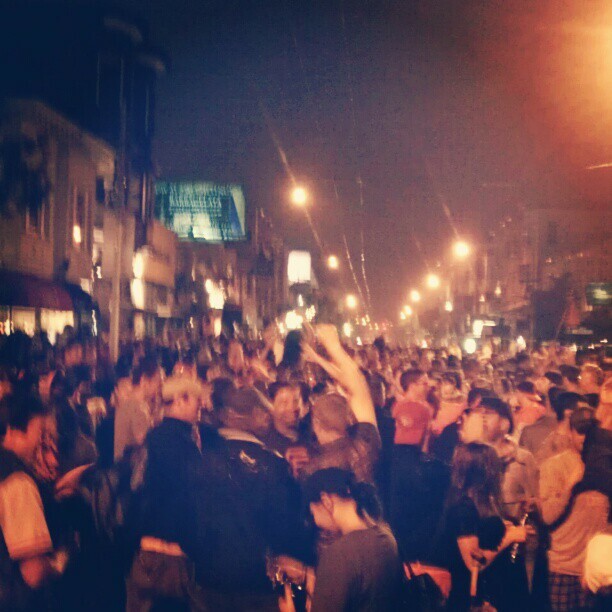 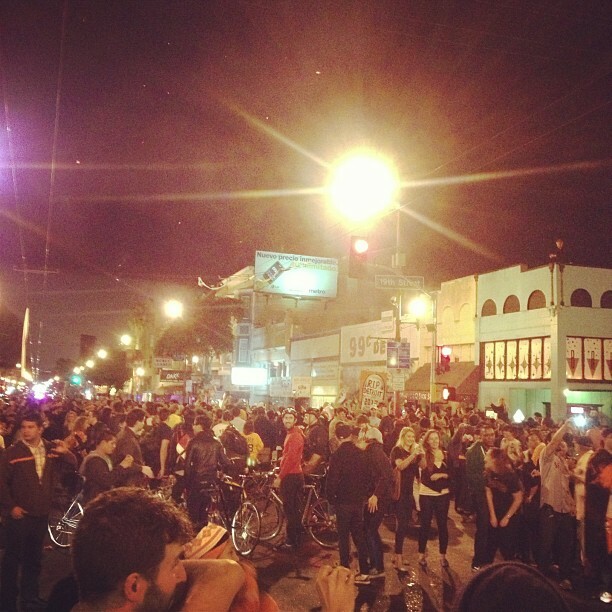 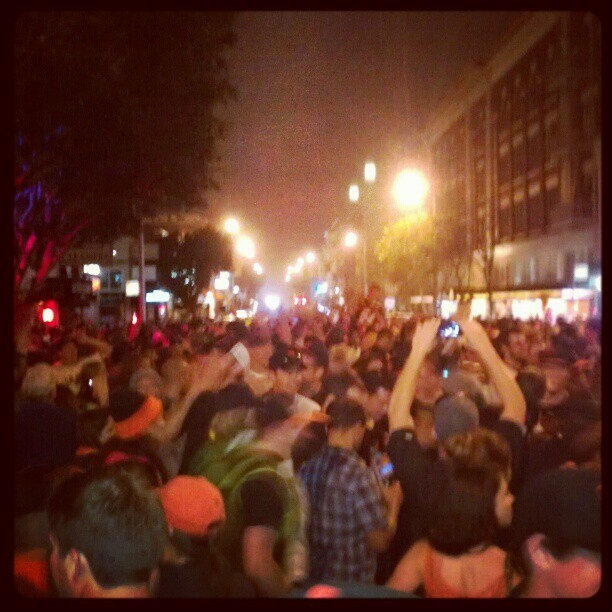 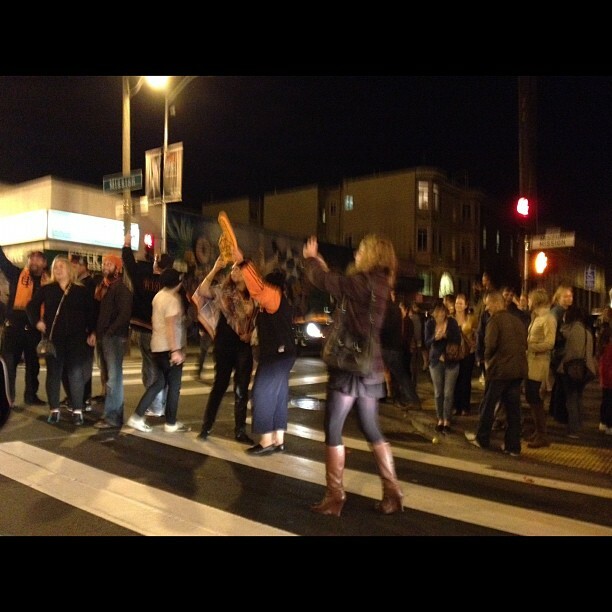 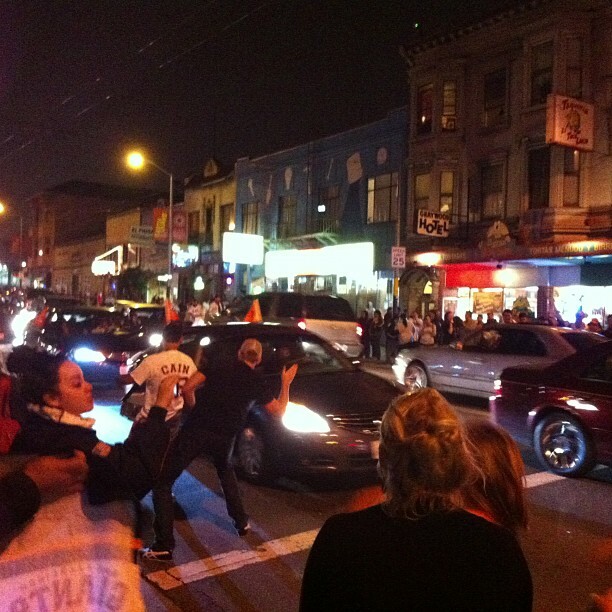 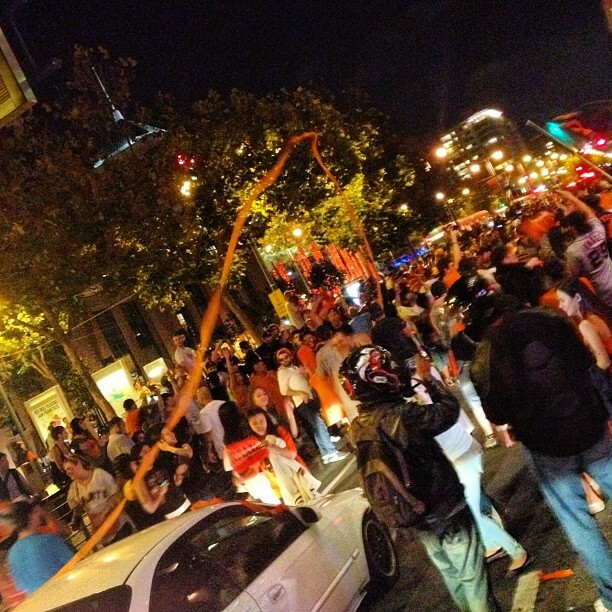 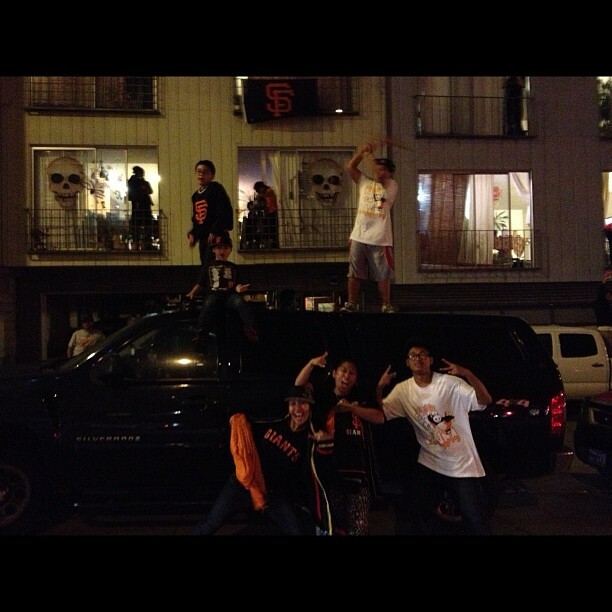 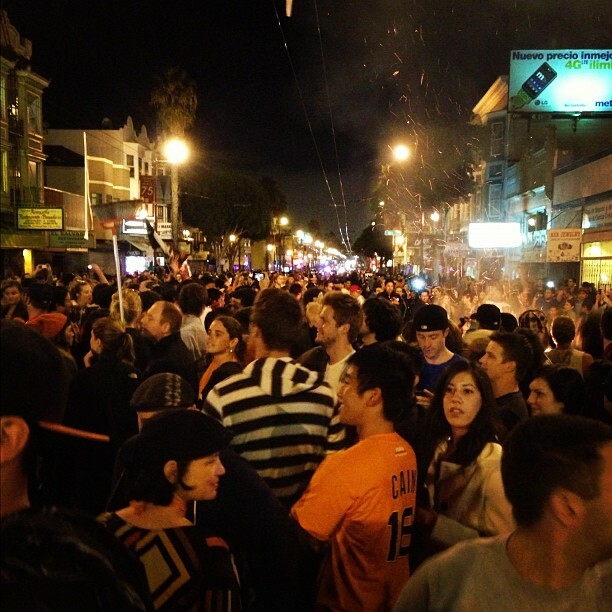 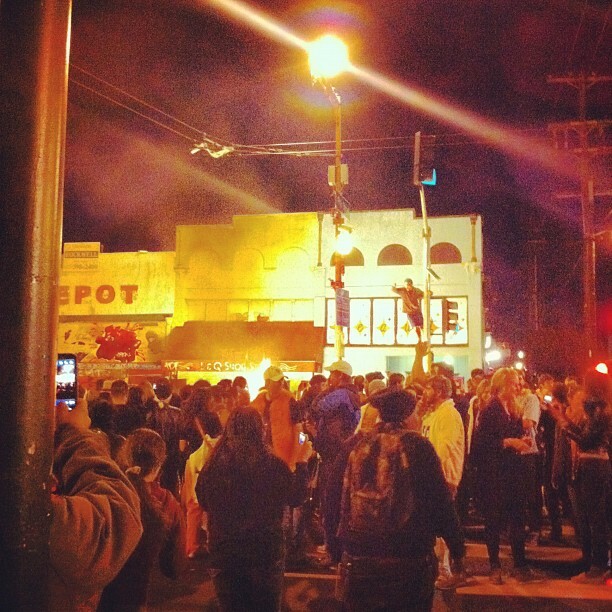 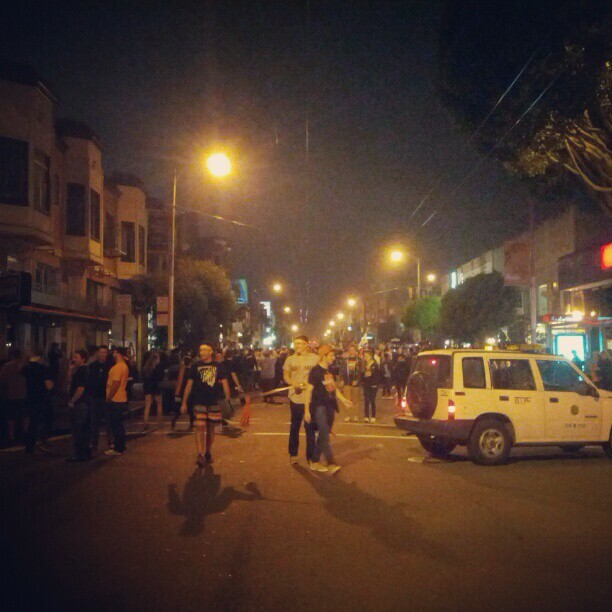 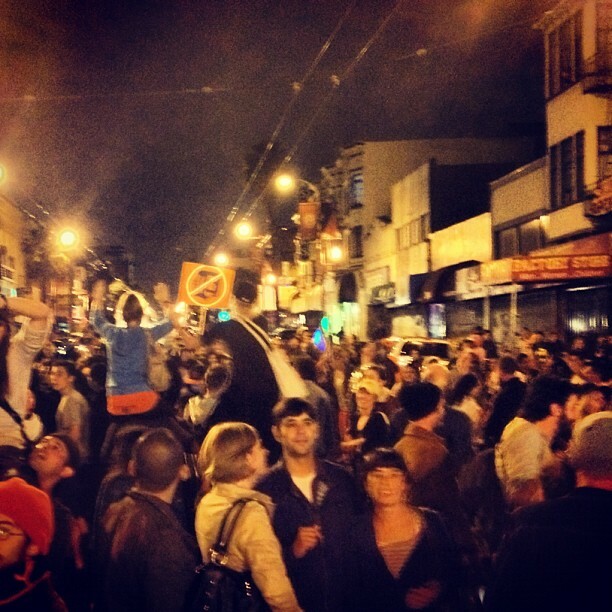 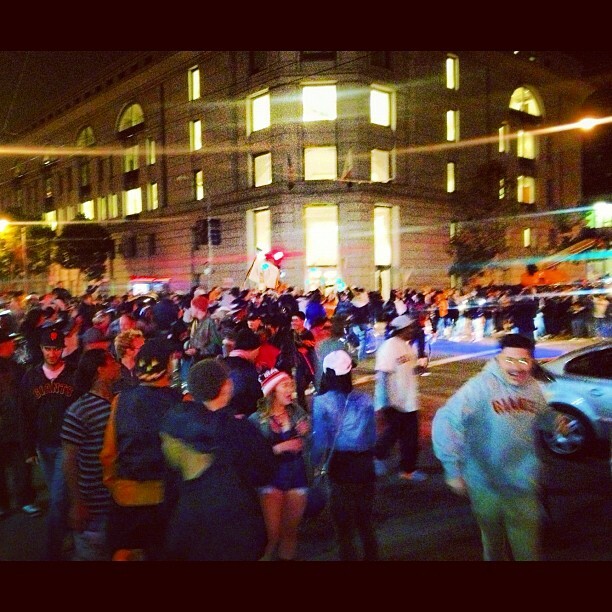 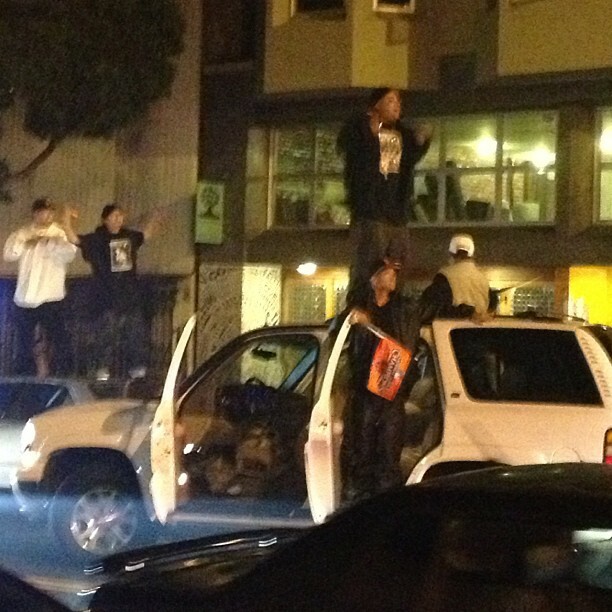 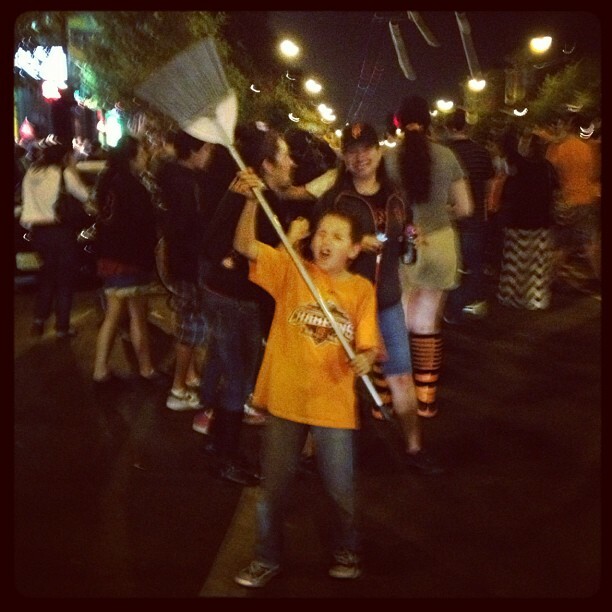 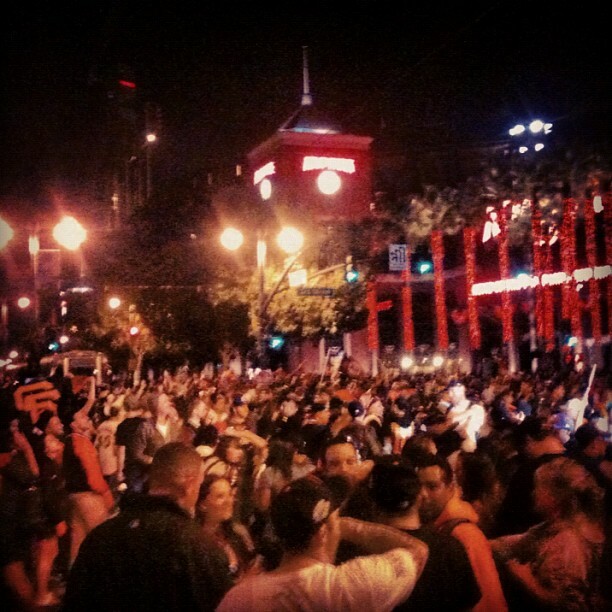 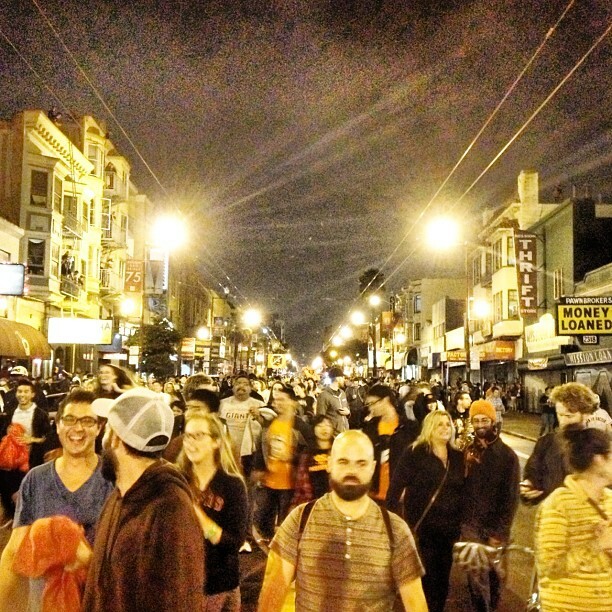 Almost immediately following the San Francisco Giants completing their World Series win the home fans took to the streets of the city to celebrate. 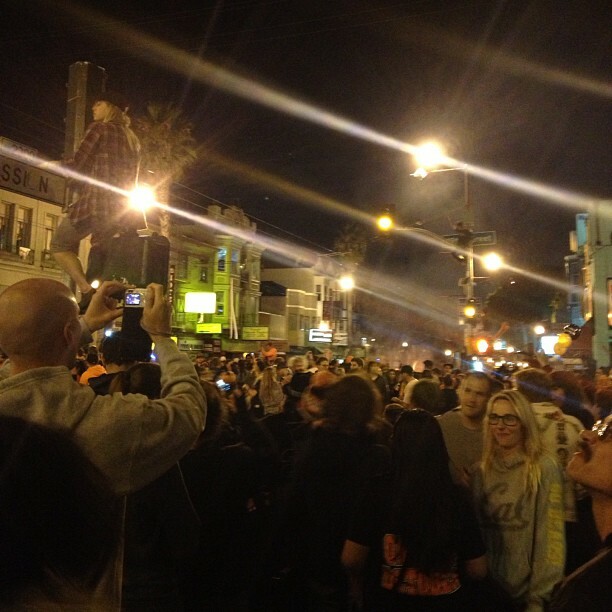 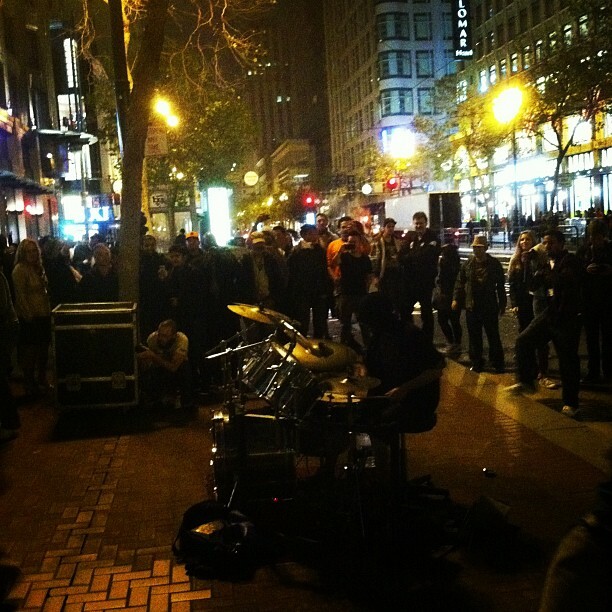 Concentrating on the famed Mission St., Giants supporters mobbed the downtown area, bringing flying toilet paper, fire and music with them. 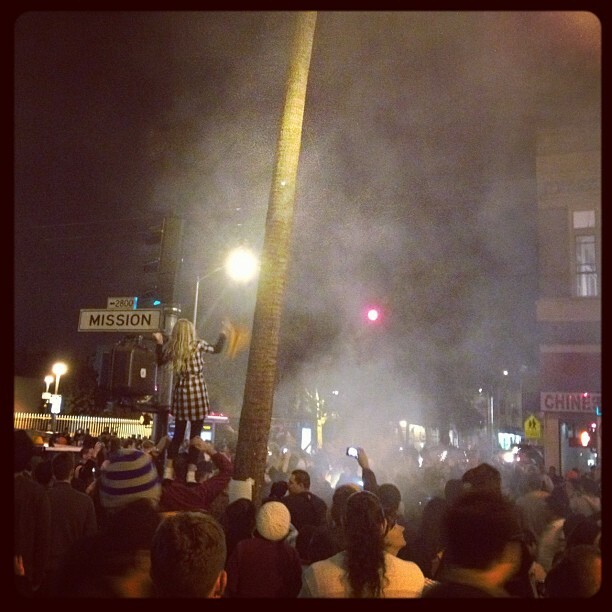 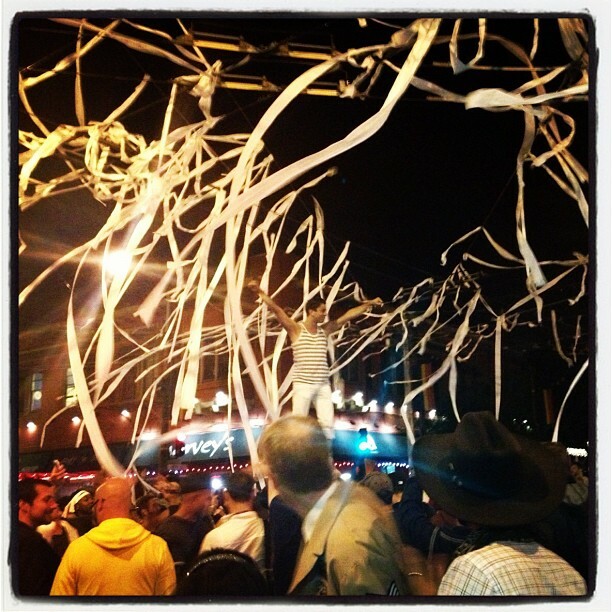 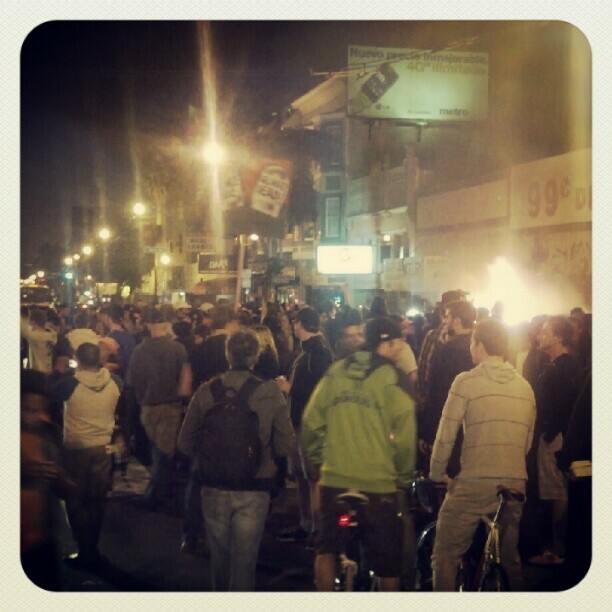 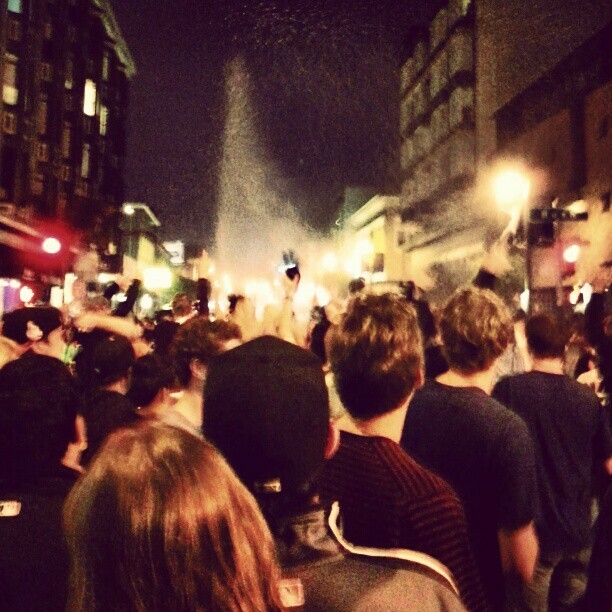 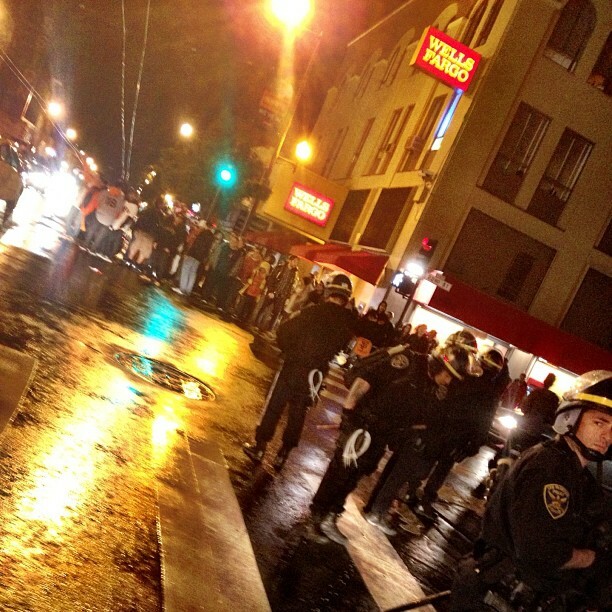 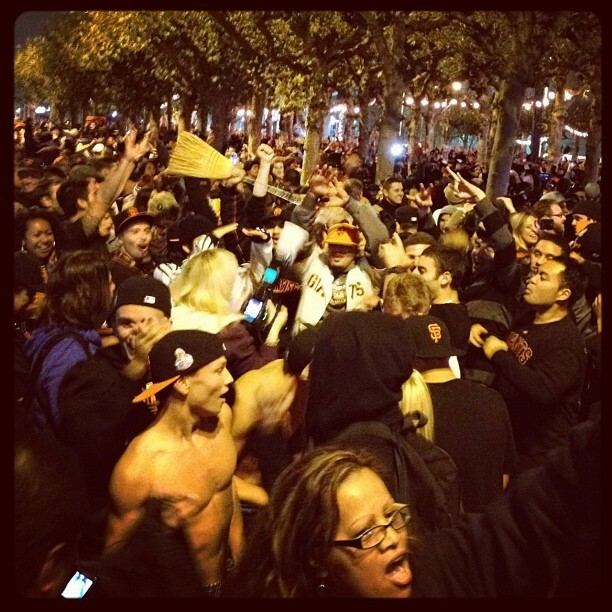 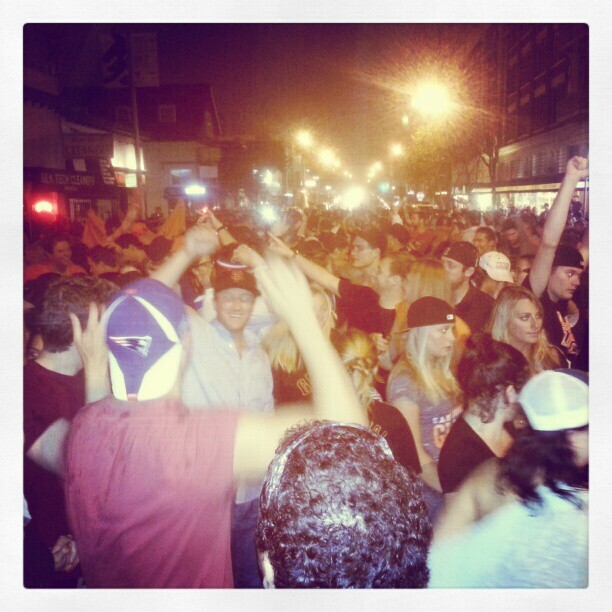 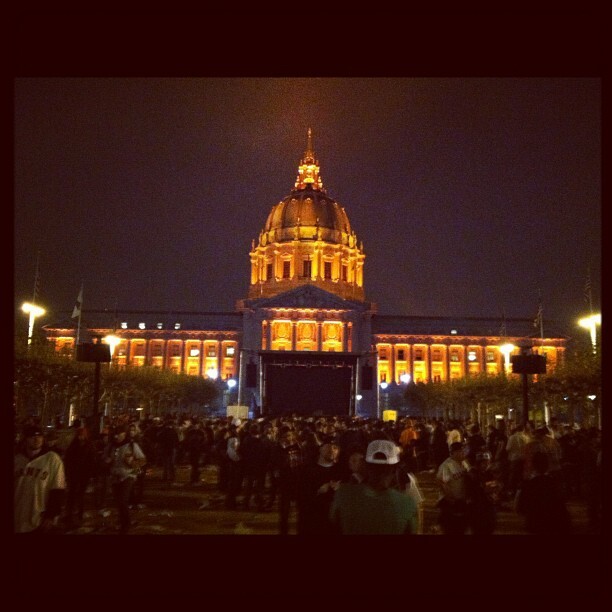 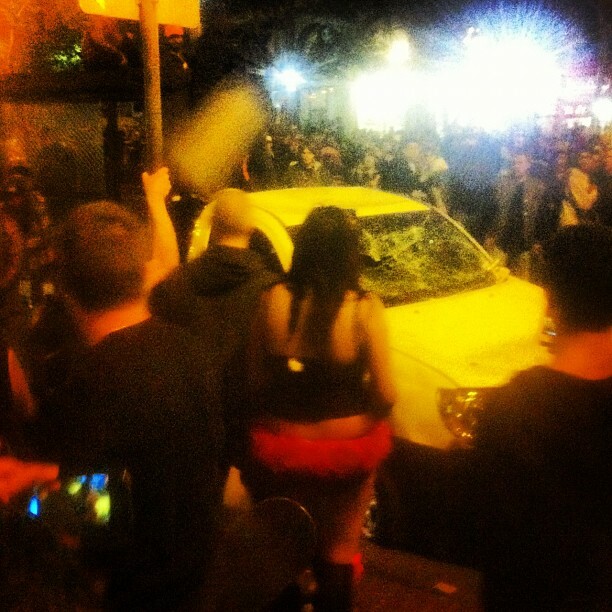 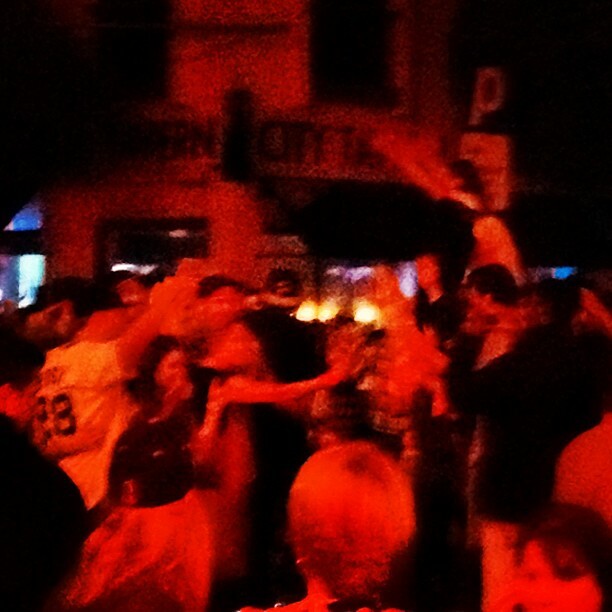 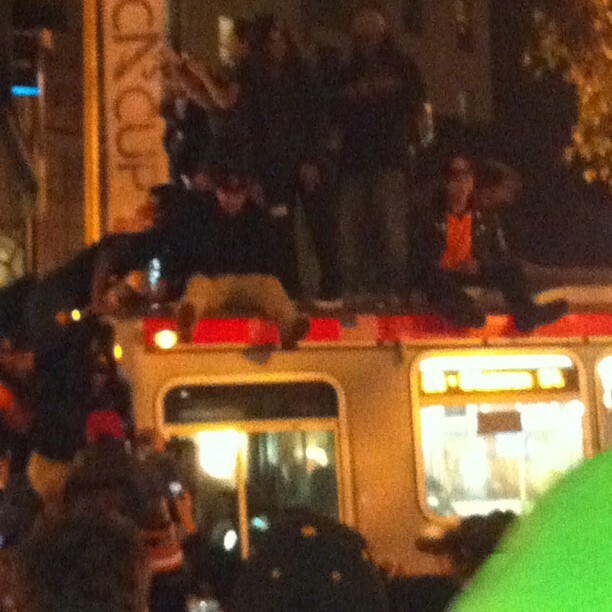 Unlike their 2010 celebration, the 2012 fans have a new tool to document the revelry, Instagram. 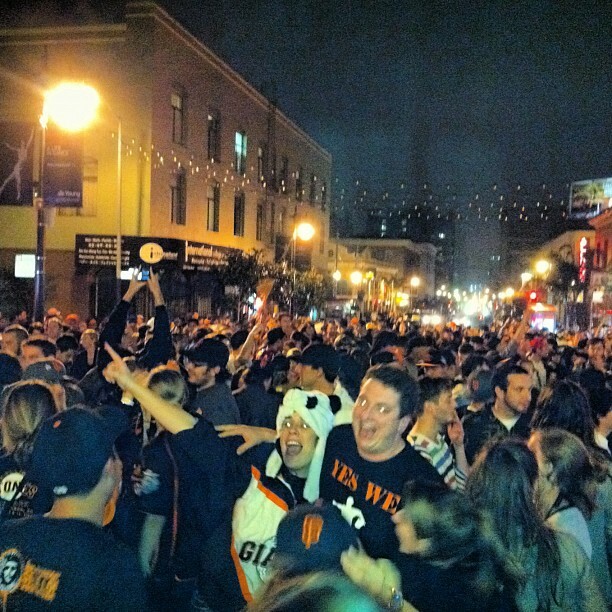 We’ve collected 40 of our favorite shots of the party in San Francisco, which is expected to last late into the night.